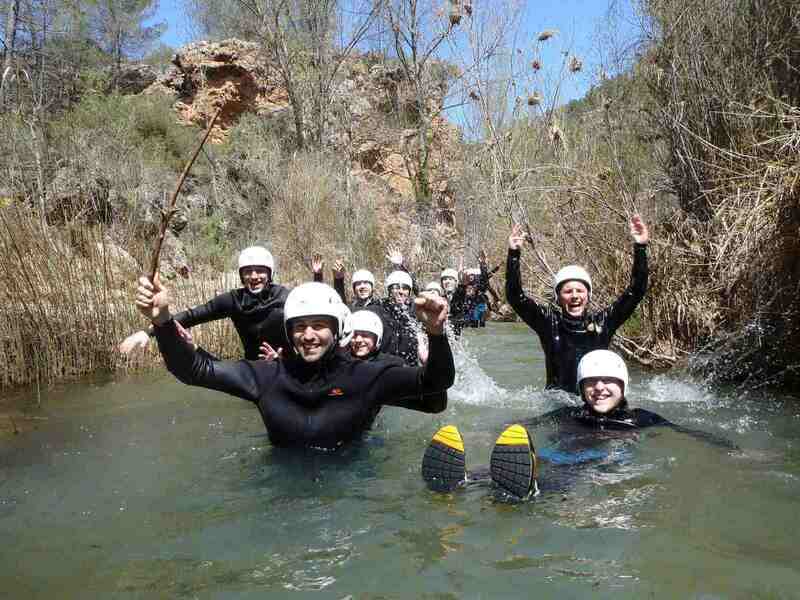 The activity will be placed in Venta del Moro only one hour from Valencia city and it will be consisting in a whole day of exhilarating white water activities one Canyoning and the other Rafting in the on the well known Cabriel river . 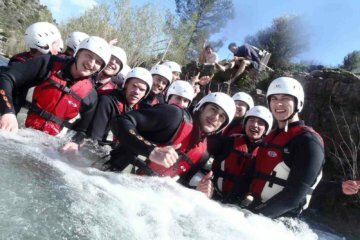 This is going to be a good experience for being introduce on this type of activity through gorges that will involve you running down wet slabs of rock, jumps into pools and slides we make our way down the canyon. 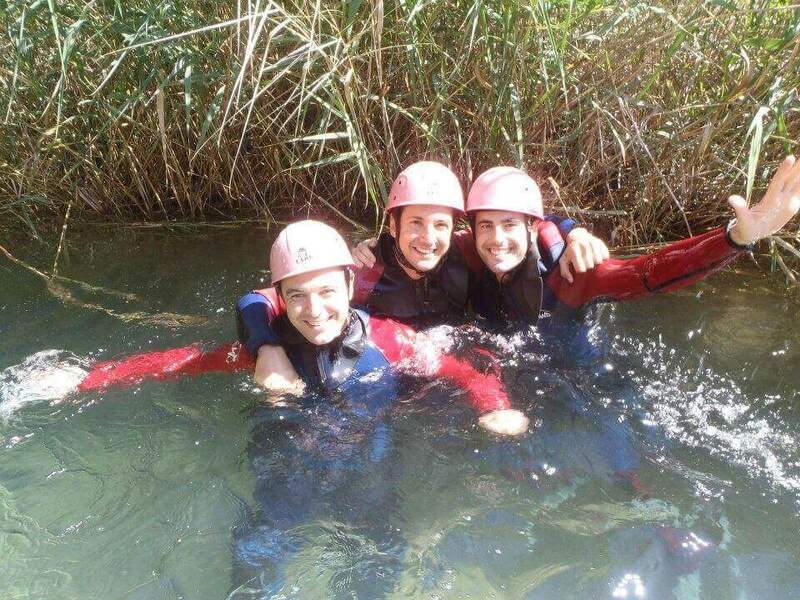 And after this great experience we have a picnic lunch, take a break and we will recharge batteries and get ready for the next adventure. 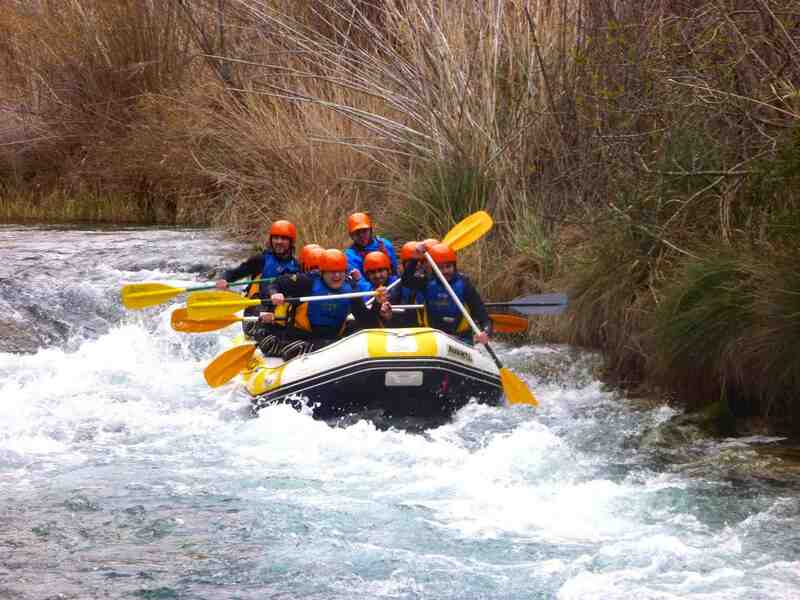 Rafting, there is up to several kilometers of navigable water with different grades along the way, on spring time (April, May)this descend can be wilder than the rest of the year and in summer period (from June to 31st Aug) its perfect for families and for non experienced people. 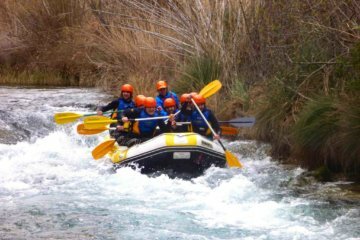 You will receive your equipment, getting change in our facilities and the staff will transfer you to the beginning point. You will meet your instructor, the one will be accompaning you all the time in tour and give you a briefing on safety and techniques. 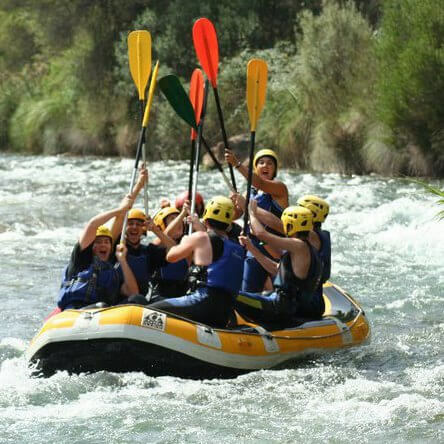 Afterwards that will be the moment to brave the Cabriel river rapids, jump into the pools of the canyon “Las Chorreras” and completing the route and finish the great journey.